This just in: The 2018 production of the Christmas Spectacular will be technologically transformed with the addition of an all-new finale scene and redesigned elements. Directed by Tony, Drama Desk and Olivier Award-nominated director Sam Buntrock (Broadway and West End productions of Sunday in the Park with George), the new finale will include 100 Intel® Shooting Star™ Mini drones* that take flight to create a groundbreaking magical holiday light show, and new digital projections from Obscura Digital. The new finale scene, “Christmas Lights,” will be a stunning example of innovation blended with tradition. The finale begins at the conclusion of the “Living Nativity” scene with the original light of Christmas – the North Star. Fragments of light will suddenly appear as aerialists fly across the Great Stage. 100 drones, representing Christmas lights, will magically surround Santa Claus on stage, forming various shapes and patterns. 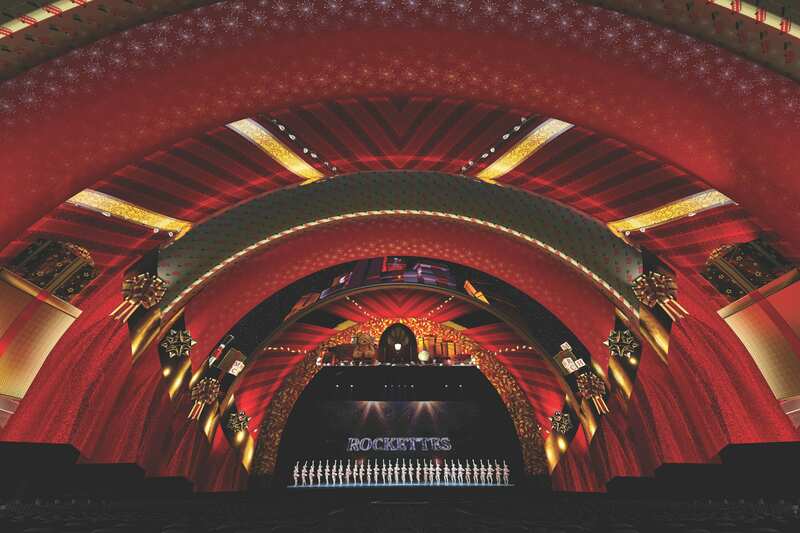 The Radio City Rockettes will then be revealed, as they perform new choreography in glamorous new costumes designed by Tony and Drama Desk Award-nominated costume designer, Emilio Sosa. The finale joins several of the production’s beloved numbers, which will showcase new, state-of-the-art digital projections from Obscura Digital to combine next-level technology with awe-inspiring artistry that extend the show beyond the stage. Obscura Digital is a globally recognized design studio known for architectural projections on such iconic buildings as the Empire State Building, the Vatican, the Guggenheim, Sydney Opera House and theMART building in Chicago. In addition to their work on the Christmas Spectacular, they’ve also created large-scale immersive experiences for NASA and Coachella, and dynamic live stage shows for some of the world’s most exciting performers, from Ariana Grande to Jay-Z.